Schäffler's Garden Nursery is a family run business owned by Anthony and Christine Schäffler. For over 20 years our nursery has been changing and growing as an established name in the industry. 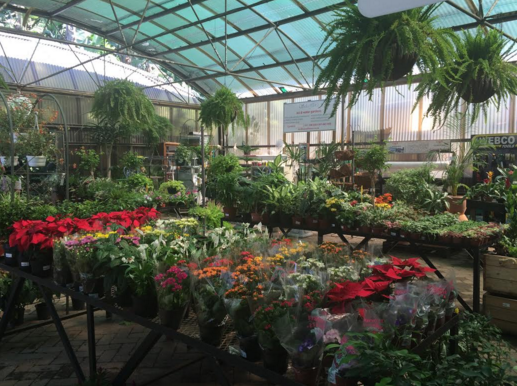 Take a stroll through our nursery where we offer an impressive range of indoor and outdoor plants, landscaping accessories and bonsai. Anthony’s interest in indigenous and unusual, rare plants is a garden lover’s delight with an “if we don’t have it, we will find it for you” motto. Such is Anthony’s quest to hunt down and ferret out the “difficult to find” plants that every family holiday includes a trailer and a search along dusty roads to find growers of an unusual species. Our nursery stocks a wide and unusual selection of perennials, shrubs and trees sourced from across South Africa. We strive towards keeping a wide range of quality plants. We aim for unparalleled gardening advice and client service. We are constantly working towards a more sustainable, eco-friendly approach (drop off your glass in our recycling bin) and want to educate our customers on the importance of water wise gardening and planting. The vibe is friendly and relaxed and customers are known by their first names.